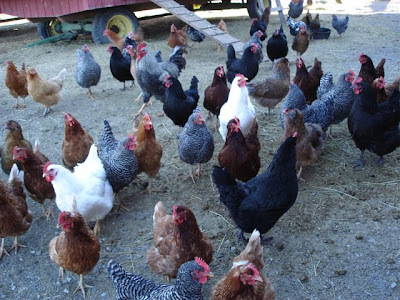 The chicken ordinance is coming back for another hearing before the Rosemead Planning Commission on Monday, March 1, 7pm. It should be in the council chambers. Submitted by Brian on Sun, 02/21/2010 - 21:21. According to the cancellation notice from the Commission's February 16th meeting, the March 1st meeting will be held in the Rosemead Community Recreation Center, just over the wall behind the library. If it clucks like a chicken. . . . Submitted by Zebra24601 on Tue, 03/02/2010 - 20:19. The Old Guard trotted out their usual sock puppets. They're not interested in a solution or a compromise. They're not interested in becoming vegetarians, either. Nor do they care if chickens have to die. They just don't want chickens killed in Rosemead, REGARDLESS OF THE IMPACT. Complete control of the alleged odor or water or traffic issues would not be enough for these people. They just want to drive the business out of Rosemead. Vendetta, pure and simple.